We invite you to join us for the 71st IAFP Annual Convention, being held once again in French Lick, southern Indiana! The meeting will begin with a KSA Study Group on Cerebrovascular Disease to help you with your board requirements. Following that, we’re excited to offer a 1.5 day Essential Evidence CME program for the second year in a row. This popular format, taught by nationally-recognized faculty, will review and analyze recent findings from pertinent clinical research with a focus on immediate implications for your daily practice. This is a fun and engaging CME offering with no clinical bias and a focus on practical application. We will also offer a full day of varied hot topic clinical CME on Saturday, July 20, as well as two KSA Study Groups (Coronary Artery Disease and Preventive Care) on the morning of Sunday, July 21, to close out the Convention. In addition, you can help set the course for your Academy by taking part in our Congress of Delegates, where we discuss resolutions submitted by members. As usual the IAFP Annual Convention offers a wonderful opportunity to network and enjoy fellowship with family physicians from across the state. We will offer various social events throughout the meeting including our All Member Costume Party. We will also have a select number of exhibitors for you to visit. John Hickner, MD, and colleague Mark Ebell, MD, have been teaching a very novel CME course for the past seven years that uses abstracts of recent literature as the substrate. Each 30-minute talk is a rapid fire review of recent research studies about a particular topic with time for Q&A at the end of each presentation. This style of CME has been enormously popular and valuable to participants at the annual meetings of various state chapters of the AAFP including Arizona, South Dakota, Maryland, North Dakota, Colorado, and Michigan. The Essential Evidence conference launched for the first time in Chicago at UIC in 2014, with the Illinois Academy of Family Physicians. We are excited to bring this program to Indiana this year. In addition to Dr. Hickner, we are happy to welcome Henry Barry, MD, of Michigan State University; Emily Hall, MD, of the University of Illinois College of Medicine; and Kate Rowland, MD, of Rush Medical College. The faculty will provide an engaging, rapid-fire review of the most important research publications of the past two years. They will present and critically appraise new research evidence and meta-analyses that will either change your practice or confirm that your current approaches are supported by solid evidence from randomized trials and other high quality studies. Thank you! I’ve never seen this format before. Enjoyed it! Thanks so much to the speakers - so appreciate your hard work preparing this material for us! Staying up to date is a full time job in itself! Thank you!! Click here to view the Preliminary Agenda including Essential Evidence faculty information and Saturday's CME topics (PDF file). 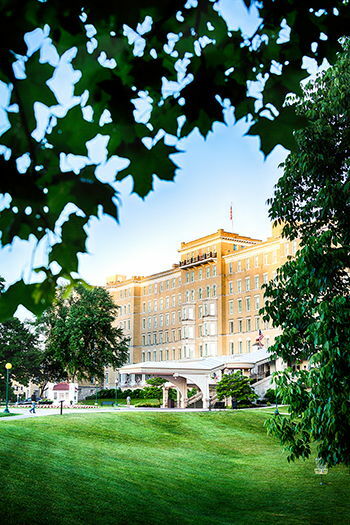 Nestled among the hills of the Hoosier National Forest resides a classic American destination - French Lick Resort. Home to two AAA Four-Diamond nationally historic hotels, three challenging golf courses, two rejuvenating spas, impressive meeting venues and a Vegas-style casino (rated No. 4 Best Casino outside of Las Vegas by Yahoo Travel, 2016), the resort is sure to exceed your expectations. Experience the ultimate in golf at The Pete Dye Course voted No. 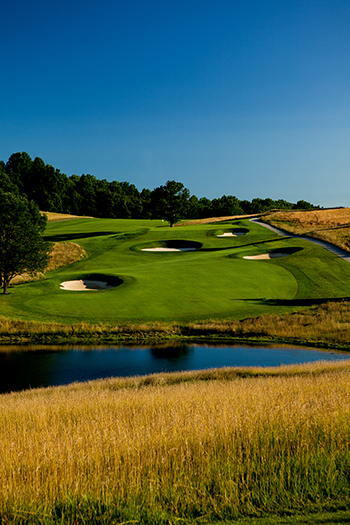 1 Course in Indiana by GolfWeek’s Best You Can Play for the sixth year in a row. Likewise, The Donald Ross Course has received No. 2 Course in Indiana, GolfWeek’s Best You Can Play annually since 2011. Voted Best Hotel in Indiana by Travel & Leisure Magazine, French Lick Resort is family-friendly and perfect for a getaway. Come experience Old World opulence amid modern comforts served with Midwestern charm - close to home. Make your reservation now at our reduced rates. Please act now! French Lick frequently sells out during the summer so make your reservation early. Our Congress of Delegates gives each IAFP member chance to take an active role in IAFP business. All members are invited and encouraged to attend because every member is a delegate, and every participant will have a vote and voice. The Congress considers resolutions submitted by members on hot topics such as legislative issues and urgent educational needs. View information from 2018's Congress of Delegates and find out how to submit a resolution for the 2019 Congress of Delegates. Join us for our All-Member Costume Party on Saturday, July 20 from 6-8pm! Come dressed as your favorite superhero, movie character, or historical figure. Creativity is encouraged! We will have a DJ, photo booth and games throughout the night. Be sure to warm up your vocal chords, because the DJ will transition to Late Night Karaoke from 8pm to 10pm. Come and sing - or just enjoy the entertainment! Resident and student members, as well as new physicians in practice (2016-2019 residency graduates) can attend the meeting free of charge! Click here to complete your complimentary registration.